1. Met Dept To Use Flash Flood Guidance System For First Time To Forecast Floods. 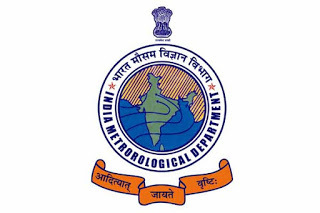 India Meteorological Department (IMD) will use flash flood guidance system for the first time in the country to forecast floods. Currently, the Central Water Commission issues flood warnings.IMD Director General KJ Ramesh said the national weather agency is preparing to launch this service from the next month. He said, different kinds of soil from various parts of the country have been studied to find out how absorbent each variety was. Mr Ramesh said, the state and district-level farmers’ bodies and disaster management agencies will also be given appropriate guidance for flood preparedness. 2. Northern Railways To Monitor Cleanliness Of Trains Using WhatsApp Groups. The Northern Railways will now monitor cleanliness of its trains using WhatsApp groups supervised by senior officials. Every department, be it pantry, bed rolls etc., will have separate WhatsApp groups, in which status report of cleanliness will be uploaded on a daily basis. “WhatsApp groups have been created for train and pantry cleanliness, bed rolls and functionality of air conditioners in trains. Photographs are being uploaded in these groups for monitoring by senior officials,” Northern Railway General Manager Vishwesh Chaube said. 3. Centre Launches `Rail MADAD`, `Menu On Rails` Mobile Apps. The Ministry of Railways on Monday launched two mobile applications to ease the travelling experience. The two apps, `Rail MADAD` and `Menu on Rails`, were launched by Railway Minister Piyush Goyal and Minister of State (MoS) Manoj Sinha during a press conference organised to highlight the achievements of the Ministry in the last four years. While Rail MADAD will enable travellers to lodge complaints, Menu on Rails will facilitate seamless ordering of food. 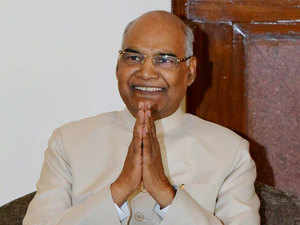 "The theme for development this year is to improve connectivity for the poor, in line with Mahatma Gandhi`s ideologies. We have been working towards development with the right intention, which has yielded significant results for us. Our focus has been on improving safety, avoiding rail accidents, installation of CCTV on all coaches and clearing our backlog," he said. 4. India Is The Second Highest Sender Of Foreign Students In US. India is the second highest sender of foreign students in the US, next only to China. The US consul general Craig Hall said this at a programme in Kolkata yesterday. He said, the United States is the top destination for foreign students worldwide and the number of Indian students in the US has more than doubled in the last 10 years. Around one lakh eighty six thousands students are currently studying in various institutions and Universities in the United States. Mr Hall said, this rise in the number of Indian students studying in the United States bring great hope to prosper together. 5. V K Singh Flags Off 1st Batch Of Kailash Mansarovar Yatra. Mr Singh also counselled pilgrims to remain physically fit and establish communion with nature to come out rewarded from the Yatra. The first batch comprising 60 pilgrims will reach Kailash Manasarovar via Lipulekh. There are two routes for Yatra-through Lipulekh pass(Uttarakhand) and through Natu La pass(Sikkim). 6. Govt Launches 5000 Wi-Fi Choupals In Villages And Delivery Of Rail Tickets Through Common Service Centres. It was inaugurated by Electronics and IT Minister Ravi Shankar Prasad in New Delhi yesterday. The move is aimed at transforming rural Internet connectivity through BharatNet. The WiFi Choupals will enable people in rural areas with an effective Internet access for their various digital processes. Ravi Shankar Prasad said, with the concept of power of information, CSCs are running a mass movement of digitalization which, in turn, empower the common man. He said, recently Prime Minister Narendra Modi appreciated CSCs efforts in Singapore which is a great recognition for all the Common Services Centres- Village Level Entrepreneurs (VLEs). Mr Prasad also announced that the Prime Minister will address CSC- VLEs on 15th of this month. 7. 3,000 Additional Atal Tinkering Labs Announced. The NITI Aayog on Tuesday announced an additional 3,000 Atal Tinkering labs to be set up in schools across different parts of the country under the Atal Innovation Mission (AIM). The government`s policy think-tank said there would soon be a tinkering lab in every district of the country. "NITI Aayog`s AIM has selected 3,000 additional schools for the establishment of Atal Tinkering labs (ATls), bringing the total number of ATl schools to 5,441," it said in a statement. The selected schools will receive a grant of Rs 20 lakh spread over the next five years to establish such labs. "These additional 3,000 schools will greatly expand the reach of the ATl programme, increasing the number of children exposed to tinkering and innovation and providing access to the young innovators of India to technologies like 3D printing, robotics, Internet of Thigs (IoT) and microprocessors," said Ramanathan Ramanan, Managing Director of Atal Innovation Mission. The Atal Innovation Mission (AIM) is the government`s flagship initiative to promote a culture of innovation and entrepreneurship in the country. 8. 10 New Swachh Iconic Places Launched Under Swachh Bharat Mission. Ten new iconic sites, namely, Raghavendra Swamy Temple (Kurnool, Andhra Pradesh), Hazardwari Palace (Murshidabad, West Bengal), Brahma Sarovar Temple (Kurukshetra, Haryana), Vidur Kuti (Bijnor, Uttar Pradesh), Mana village (Chamoli, Uttarakhand), Pangong Lake (Leh-Ladakh, J&K), Nagvasuki Temple (Allahabad, Uttar Pradesh), Ima Keithal/market (Imphal, Manipur), Sabarimala Temple (Kerala) and Kanvashram (Uttarakhand) have been taken up under phase III of the flagship project Swachh Iconic Places (SIP) of the Swachh Bharat Mission. The project envisioned by the Prime Minister is being coordinated by Ministry of Drinking Water and Sanitation with the support of state governments and local administration. These new sites have joined the 20 iconic places under phase I and II where special sanitation work is already underway. Launched in 2016, the phase iconic places are - Ajmer Sharif Dargah, CST Mumbai, Golden Temple, Kamakhya Temple, Maikarnika Ghat, Meenakshi Temple, Shri Mata Vaishno Devi, Shree Jagannath Temple, The Taj Mahal and Tirupati Temple. 9. Govt Approves 33% Increase In Carpet Area Of Houses Under PMAY-U. The new rules will be effective from January 1, 2017, the date on which the scheme became operational, the ministry said in a release. Under the Credit Linked Subsidy Scheme (CLSS), each beneficiary can avail subsidy up to Rs 2.35 lakh on purchase of a house under the scheme. Apart from increasing the number of beneficiaries, the enhancement in carpet area will increase the construction activity and will give a push to housing sector, it added. As of June 11, an amount of Rs 736 crore has been disbursed to 35,204 beneficiaries belonging to the MIG category, the ministry said. The decision to increase the carpet area for MIG section was done after inputs from various stakeholders, it added. 10. India’s 1st National Police Museum To Come Up In Delhi. The Union Government decided to establish India’s first national police museum in Lutyens` Delhi.The unique museum, depicting the history, artifacts, uniforms and gear of central and state police forces, will come up as an underground facility in the premises of the national police memorial in Chanakyapuri area of the national capital. The museum is expected to be inaugurated on the occasion of Police Commemoration Day, by either Prime Minister Narendra Modi or Home Minister Rajnath Singh.The central armed police forces (CAPFs), the central police organizations and the state police forces have been asked to collect their historical documents, items, police-related gazette notifications and unique weapons and uniforms so that it can be displayed at the museum. 11. Union Steel Minister Dedicates To Nation Rebuilt Blast Furnace-1 Of Rourkela Steel Plant. Union Steel Minister Chaudhary Birender Singh today dedicated to the nation the rebuilt Blast Furnace-1 `Parvati` of Rourkela Steel Plant (RSP). Union Tribal Affairs Minister Jual Oram was also present on the occasion. The furnace was put down on August 6, 2013 for total rebuilding. Although erected on the old foundation, the rebuilt furnace laced with superior technology has a higher production capacity, RSP officials said. The blast furnace, rebuilt at a cost of about Rs 615 crore, has been blown in on May 8. With the rebuilding of the furnace, its annual production capacity has increased from 0.438 million tonnes to 1.015 MT, the officials said. The blast furnace Parvati was first blown in on January 24, 1959 and it was dedicated to the nation on February 3, 1959 by the then President Dr Rajendra Prasad. Birender Singh also laid the foundation stone of the Burns and Plastic Surgery Department of Super Speciality block at the Ispat General Hospital, officials said. The ministers also visited the state-of-the-art New Plate Mill of the RSP and planted saplings in the Pragati Udyan situated in front of the Mill. 12. India Gives 99 Million Nepalese Rupees For Final Phase Of Nepal-Bharat Maitri Irrigation Project. By Shirish B Pradhan Kathmandu, Jun 11 (PTI) India today extended a financial aid of Rs 99 million to Nepal for the construction of 2,700 shallow tube well irrigation systems in 12 districts of the country`s southern Terai region to boost agricultural productivity. The assistance has been extended as part of the final payment for the Nepal-Bharat Maitri Irrigation Project, which was launched in January last year to boost growth to the Himalayan nation`s agricultural sector through enhanced facilities. India`s Ambassador to Nepal, Manjeev Singh Puri, handed over a cheque of 99.21 million Nepalese Rs (Indian Rs 61.93 million) to the country`s Energy Secretary, Sanjay Sharma, at a function here, according to a press release issued by the Indian Embassy, Kathmandu. The project aimed at installing 2,700 shallow tube wells in Saptari, Sarlahi, Rautahat, Bara, Parsa, Chitwan, Nawalparasi, Rupendehi, Kapilvastu, Dang, Kailali and Kanchanpur districts. With today`s aid, Indian has so far released a total of 227.6 million Nepalese rupees to Kathmandu for implementing the project, according to the release. The project would ensure all-season irrigation facility to about 8,115 hectares of farm land, augment productivity of wheat, rice and seasonal fruits, vegetables and other crops, it said. It would also uplift the socio-economic status of farming families in the 12 districts covered under the project, it added. Recognising the scope for improving agricultural productivity in Nepal, India has been partnering with Nepal for development of Deep Tube Wells (DTWs) and Shallow Tube Wells (STWs) in various regions for several years. PTI SBP KIS AKJ KIS KIS. 13. Bihar CM Inaugurates, Lays Foundation Stones For Schemes Worth Rs 875 Crore. 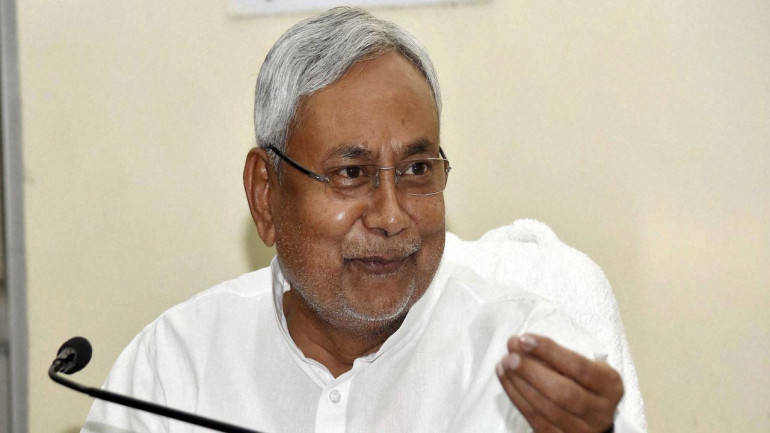 Bihar Chief Minister Nitish Kumar inaugurated and laid foundation stones for more than 100 schemes, worth Rs 875 crore, of the state bridge construction corporation. At a function organised here on the occasion of the 43rd establishment day of the Bihar Rajya Pul Nirman Nigam Ltd, 122 schemes were inaugurated or their foundation stones laid down by the chief minister. Speaking on the occasion, Kumar expressed satisfaction over the corporation`s performance over the last one decade and recalled that prior to 2005, when he first assumed power in Bihar, "this company was moribund and running into huge losses". "It has come a long way since then and it earned a net profit of Rs 50 crore in 2017-18. Its yearly turnover has shot up from less than Rs 60 crore to more than Rs 1600 crore," he said. Today, the government is benefitting from the company`s success. It has contributed a lot to the Chief Minister`s Relief Fund," Kumar said. "It is also a matter of pride that the Nigam has spent about Rs 70 crore towards corporate social responsibility," the chief minister said. "Please always keep three things in mind while undertaking any project. The first is there should be no compromise on quality. Secondly, the deadlines must be met. Thirdly, after the construction is complete there should be proper maintenance”, he said. 14. India To Host 1st BIMSTEC Military Exercise. India will host the first military exercise of the BIMSTEC (Bay of Bengal Initiative for Multi-Sectoral Technical and Economic Cooperation) group focussing on counter-terrorism in September. As part of this, a conclave of the Army chiefs of all seven member-states is being planned. The exercise is scheduled to be held in Pune in the second week of September. “The aim of the exercise is to promote strategic alignment among the member-states and to share best practices in the area of counter-terrorism,” a defence source said. The initial planning conference to work out the modalities is scheduled to be held next week and the final planning conference is scheduled in August. BIMSTEC was set up in 1997 and includes India, Bangladesh, Bhutan Myanmar, Nepal, Sri Lanka and Thailand. The theme includes counter-terrorism in semi-urban terrain and cordon and search, and each side will bring in some 30 soldiers. 15. President Ram Nath Kovind To Launch Solar Charkha Mission. The Solar Charkha Mission of the Ministry of Micro Small & Medium Enterprises (MSME), will be launched by the President, Ram Nath Kovind on June 27, 2018. The Mission will cover 50 clusters and every cluster will employ 400 to 2000 artisans. The Mission has been approved by the Government of India and will disburse subsidy of Rs. 550 crore to the artisans. This was informed by the Minister of MSME. The Minister further informed that 15 new state-of-the-art technology centers are being set up all over the country including North-East, of which 10 centers will become operational by March 2019. Each center is being built at a cost of around Rs. 150 crore. The 10 centers which will become operational soon are located in Durg (Chhattisgarh), Bhiwadi (Rajasthan), Rohtak (Haryana), Visakhapatnam (Andhra Pradesh), Bengaluru (Karnataka), Sitarganj (Uttarakhand), Baddi (Himachal Pradesh), Bhopal (M. P.), Kanpur (U. P.) and Puducherry. The Minister further informed that under Prime Minister`s Employment Generation Programme (PMEGP) budgetary allocation for FY 2018-19 has been increased by 75% to Rs. 1,800 crore. In order to incentivize entrepreneurs, mainly women and SC/ST, Government will be making an investment of about Rs. 10,000 crore in the micro sector in this financial year. 16. Important Cabinet Approvals- 13th June 2018. 1. The extension of tenure of the Commission constituted to examine the issue of Sub-categorization within Other Backward Classes in the Central List. 2. Agreement between India and Peru- aims to establish the basis for a cooperative institutional relationship to encourage and promote technical bilateral cooperation on new and renewable issues on the basis of mutual benefit equality and reciprocity. 5. Proposal for Enactment of Dam Safety Bill, 2018- It will help all the States and Union Territories of India to adopt uniform dam safety procedures which shall ensure safety of dams and safeguard benefits from such dams. 8. `Three Year Action Plan` (2017-2020) of Agricultural Education Division & ICAR Institutes. 17. Niti Aayog’s Composite Water Management Index: Gujarat Tops, Jharkhand Lowest. 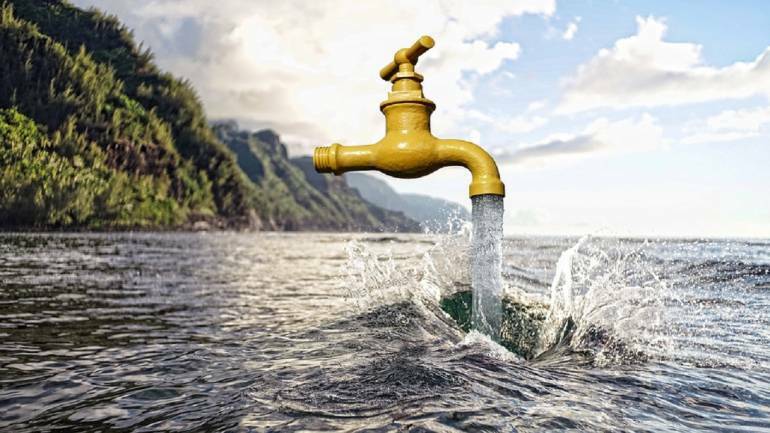 Gujarat has topped the Niti Aayog`s composite water management index (CWMI), while tribal state Jharkhand was adjudged as the worst performer.Gujarat is followed by Madhya Pradesh, Andhra Pradesh, Karnataka and Maharashtra on the index.In the northeastern and Himalayan states, Tripura has been adjudged as the top state in 2016-17 followed by Himachal Pradesh, Sikkim and Assam. Niti Aayog has ranked the states through first of its kind index on the composite water management, comprising 9 broad sectors with 28 different indicators covering various aspects of ground water, restoration of water bodies, irrigation, farm practices, drinking water, policy and governance. The reporting states were divided into two special groups – `North Eastern and Himalayan states` and `Other States` - to account for the different hydrological conditions across these groups. According to the report, titled `Composite Water Management Index` released by Minister for Water Resources Nitin Gadkari today, Jharkhand, Haryana, Uttar Pradesh and Bihar are worst performing states in water management. "In terms of incremental change in index (over 2015-16 level), Rajasthan holds number one position in general states and Tripura ranks at first position amongst North Eastern and Himalayan states," the report said. 18. India To Host European Union Film Festival. India will host the ng 23rd "European Union Film Festival" (EUFF) on Monday, screening as many as 24 latest European films from 23 EU member states, said a government official.The two-and-a-half-month film festival is organized by India`s Directorate of Film Festivals under the Ministry of Information and Broadcasting in partnership with the delegation of the EU and embassies of EU member states. It will traverse through 11 cities in India, including New Delhi, Kolkata, Jaipur, Hyderabad and Goa, besides others.The film festival will provide Indians with movies from Austria, Belgium, Bulgaria, Croatia, Cyprus, Czech Republic, Denmark, Estonia, Finland, France, Germany, Greece, Hungary, Italy, Latvia, Lithuania, Luxembourg, Netherlands, Poland, Portugal, Slovakia, Spain and Sweden. All the films will be with English subtitles, said the government official. The EUFF has some unusual stories to tell, like a man stuck in an unhappy marriage practices unusual ways to assert his freedom; a music critic finds his father irksome when they both begin to compete for the attention of an attractive psychotherapist; and three Kurdish siblings come together unexpectedly in a hair-raising journey during which they are pursued by angry relatives. The award winning film "Little Harbor" is inspired by true events about two children whose innocent play changes their lives forever. It`s a story about children who feel safer in the streets than at home, about children seeking out sturdy lifeboats that cross between the world of fantasy and the harsh reality of life, said a statement issued by Indian Ministry of Information and Technology. 20. Conference On Implementation Of NPS By The CABs Held In Delhi. A Conference on Implementation of National Pension System (NPS) by the Central Autonomous Bodies (CABs) was organized by Pension Fund Regulatory and Development Authority (PFRDA) today here in the national capital. The prime objective was to provide a forum to all the Central Autonomous Bodies (CABs), where the progress in the implementation of NPS with respect to compliance of timelines in various NPS related activities could be brought to the fore and a way forward could be provided. Officials from most of the Central Autonomous Bodies (CABs) attended the Conference. Delivering the Key Note Address, the Secretary, Department of Expenditure, Ministry of Finance, Govt. of India?,? Institutions and Pr AOs of the different CABs to streamline the NPS operations in their respective organisations. Shri Jha appreciated the initiative of PFRDA for holding this Conference exclusively for Central Autonomous Bodies as it provided two-way communications between stakeholders for the ultimate benefit of the subscribers. 21. NLCIL`s Three 100 MW Solar Power Projects Dedicated To The Nation. Union Minister for Finance, Railways and Coal Piyush Goyal on Thursday inaugurated three 100-MW solar power projects erected at Virudhunagar and Tirunelveli districts. The projects were erected at a cost of 1,302 crore, which include operation and maintenance cost for 15 years. The power produced from the units would be given to Tamil Nadu Power Generation and Distribution Company (Tangedco) at a cost of ?4.41 per unit. Mr. Goyal, in his inaugural address, lauded the efforts of NLCIL management, employees and trade unions for the growth of the organisation with a new vision. 22. 20 States Sign MoU For Implementing Ayushman Bharat - NHP Mission. 23. PM Modi Inaugurates Developmental Projects In Chhattisgarh. 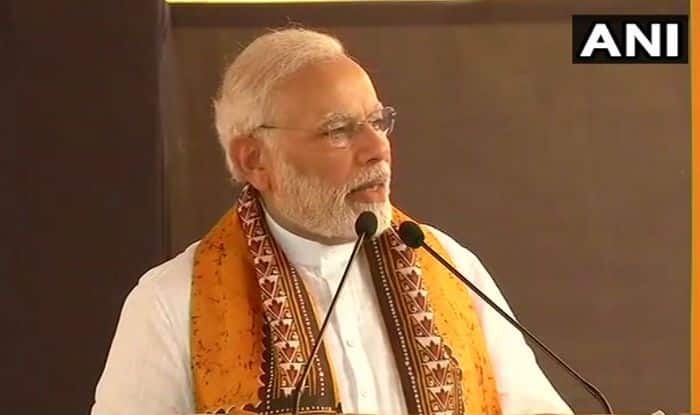 Development is the only and best answer to every form of violence, Prime Minister Narendra Modi said in Bhilai on Thursday as he inaugurated several projects for Chhattisgarh worth thousands of crores of rupees. "The mention of Bastar used to invoke images of guns, bombs and violence. This region is known for Jagdalpur airport. I believe that to every form of violence there is only one reply and it is development," Modi said addressing a gathering after flagging off the first flight between Jagdalpur and Chhattisgarh capital Raipur. He said in the region where the previous governments did not dare to build even roads, the Bharatiya Janata Party (BJP) governments of the Centre and the state have built an airport. Modi said an increasing number of youth from the Bastar region were shunning violence and coming to the mainstream. "Now, the travel time between Raipur and Jagdalpur will be shortened to just 40 minutes from the earlier six to seven hours. Thanks to the policies of our government, more people are flying than those travelling in trains` AC coaches," Modi said. 24. Nitin Gadkari Releases NABARD Publication On `Water Productivity Mapping Of Major Indian Crops`. 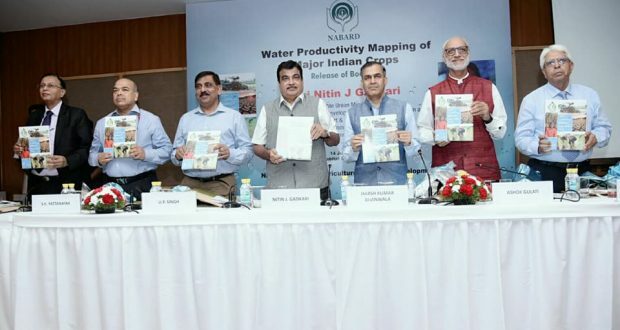 Union Minister for Water Resources, River Development and Ganga Rejuvenation, Shipping, Road Transport & Highways Shri Nitin Gadkari released a book ‘Water productivity mapping of major Indian crops’ published by NABARD in a function at New Delhi today. The book ‘Water productivity mapping of major Indian crops’ is based on study of 10 important crops by a team under the leadership of leading agricultural economist Dr. Ashok Gulati. The ten important crops include rice, wheat, maize, pulses, oilseeds, sugarcane, cotton and potato etc. The book suggests to realign cropping pattern keeping in view water scarcity of irrigation, ration irrigation supplies in canal irrigation system, improve micro-irrigation and invest in water harvesting and artificial recharge and encourage participatory irrigation management through water user association and farmer’s producer organisation. Secretary Ministry of Agriculture Shri S.K. Pattanayak and NABARD Chairman Dr Harsh Kumar Bhanwala also spoke on the occasion. 25. PM Modi Inaugurated Several Development Projects In Madhya Pradesh. PM will distribute the Swachh Survekshan-2018 Awards, and launch the Swachh Survekshan-2018 results dashboard. 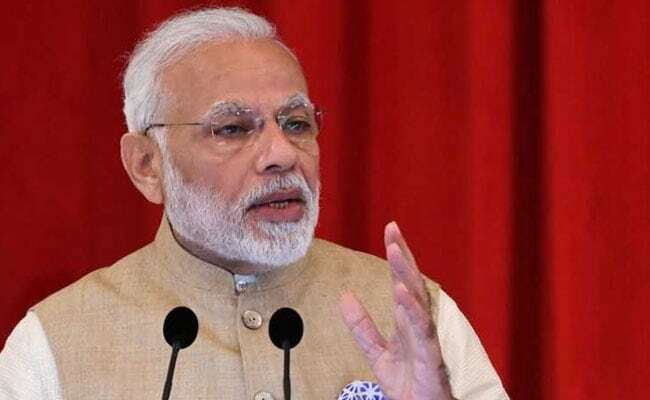 Prime Minister Narendra Modi will be in Madhya Pradesh on a day`s visit today where he will unveil a bouquet of development projects for the state. In the first leg of his visit, PM Modi will be in Rajgarh where he will dedicate the Mohanpura Dam Project to the nation. This project will facilitate irrigation of agricultural land in Rajgarh district, and provide drinking water to villages in the area. Besides that, he will address a public meeting in Rajgarh to lay the foundation stone of various drinking water schemes and inspect an exhibition on development projects in Rajgarh. In the second leg of his visit, the Prime Minister will arrive in Indore where he will attend the Madhya Pradesh Shehari Vikas Mahotsav and remotely inaugurate various urban development projects worth over 4000 crore rupees, at various locations across the State. 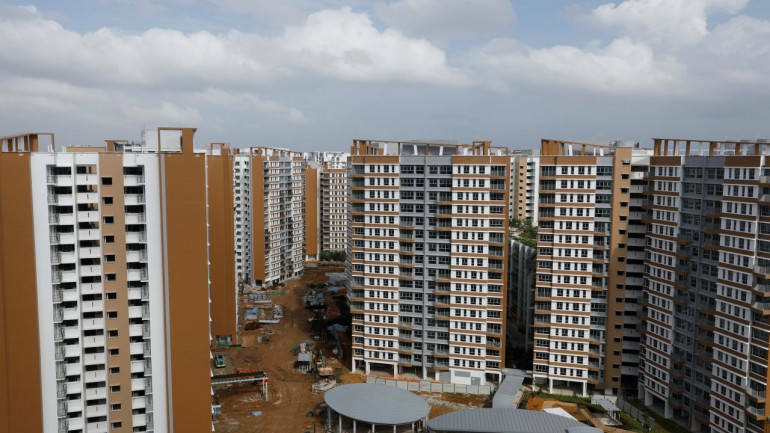 These include houses under Pradhan Mantri Awaas Yojana, urban drinking water supply schemes, urban solid waste management, urban sanitation, urban transportation and urban landscape projects. He will also distribute the Swachh Survekshan-2018 Awards, and launch the Swachh Survekshan-2018 results dashboard. Cleanest cities, and best performing States will receive awards from the Prime Minister. One Swachh Innovation, one Swachh Best Practice, and one Swachh Entrepreneur will also receive awards from the Prime Minister. Locals in Indore are enthusiastic on the eve of the PM`s visit and proud that their city has won the distinction of being the cleanest city in India for the second time in a row. The Prime Minister has often underscored the importance of states in India`s development journey. He also monitors the progress being made by states in implementing various developmental schemes in a bid to inject momentum and clear bottlenecks in the way of achieving desired outcomes. While PM Modi`s visit to the state would shower immense development benefits on it, it could serve another purpose too, of encouraging other states to compete with Madhya Pradesh in development metrics. 26. Ministry Of Health Signs An MoU With IGNOU. Ministry of Health and Family Welfare, here today signedanMoUwith Indira Gandhi National Open University (IGNOU) to scale up the short term healthcare courses through its available robust platform. The signing ceremony was presided over by Shri J P Nadda, Union Minister of Health and Family Welfare, ShriPrakashJavadekar, Union Minister of Human Resource Development and ShriDharmendraPradhan,Union Minister of Petroleum & Natural Gas and Skill Development & Entrepreneurship. ShriAshwini Kumar Choubey and SmtAnupriya Patel, Ministers of State for Health and Family Welfare were also present at the signing ceremony. Speaking at the occasion, ShriNadda said that under the guidance of the Prime Minister,skill development has taken centre-stage. Under this MoU, curriculum for 10 courses especially designed for the health sector, will provide more than 14 lakh trained manpower by 2025.He further said that AB-NHPM will protect more 10.00crore families and at the same time Health and Wellness Centres (HWCs) will deliver comprehensive primary health care. “The H&WC would provide preventive, promotive, and curative care for non-communicable diseases, dental, mental, geriatric care, palliative care, etc. He further stated that the Government has initiated universal screening of common NCDs such as diabetes, hypertension and common cancers along with Tuberculosis and Leprosy. All this will require trained manpower and the Health Ministry is taking all the necessary steps to address this. 27. PM Modi Inaugurates 3rd AIIB Meeting In Mumbai. Prime Minister Narendra Modi will inaugurate the 3rd Annual Meeting of the Asian Infrastructure Investment Bank, AIIB on June 26 in Mumbai. The theme for this year`s meeting is "Mobilising Finance for Infrastructure: Innovation and Collaboration" that will see leaders from varied organizations and levels of government to share ideas and experiences for creating a sustainable future through sound infrastructure investment. Economic Affairs Secretary Subhash Chandra Garg said that AIIB will invest 100 million US dollars in National Infrastructure Investment Fund and another tranche of the same amount will follow. The Vice President of AIIB, Danny Alexander, informed that more than 3000 people have registered for the annual meeting. 28. India, Bangladesh Navies Institute Annual Coordinated Patrol: CORPAT. “The commencement of CORPAT is major step towards enhanced operational interaction between both Navies. Naval cooperation between India and Bangladesh has been traditionally strong, encompassing a wide span which includes operational interactions through port calls, passage exercises along with capacity building, capability enhancement and training initiatives,” the Navy said in a statement. During his visit, Adm. Lanba will call on Bangladesh President Md Abdul Hamid and Prime Minister Sheikh Hasina and also interact with the three service Chiefs of Bangladesh armed forces. 29. Power Discom BYPL Signs MoU With Finnish Company. Power distribution company BYPL has signed a memorandum of understanding (MoU) with Business Finland, a Finnish government agency, for collaborative activities in different areas, including energy efficiency and electric vehicles. The agreement was signed last week by BSES Yamuna Power Limited (BYPL) chief executive officer PR Kumar and Jukka Holappa, commercial councilor and head `Business Finland` India, at the Embassy of Finland here, said a BYPL spokesperson. The three year MoU on `cooperation in the power distribution sector` will encompass joint studies, pilot projects, knowledge-sharing and consultancy, research projects for inducting future and emerging technologies at the distribution utility level. Some of the focus areas the collaboration will include are energy efficiency, renewables, energy storage system, electric vehicle and smart grid initiatives, the spokesperson said. "We are excited about the collaboration which will help both the organisations in getting strategic and tactical insights in their continued quest for providing better services benchmarked to global best practices," Kumar said. 30. Pakistan’s National Security Advisor Nasser Khan Janjua Resigns. 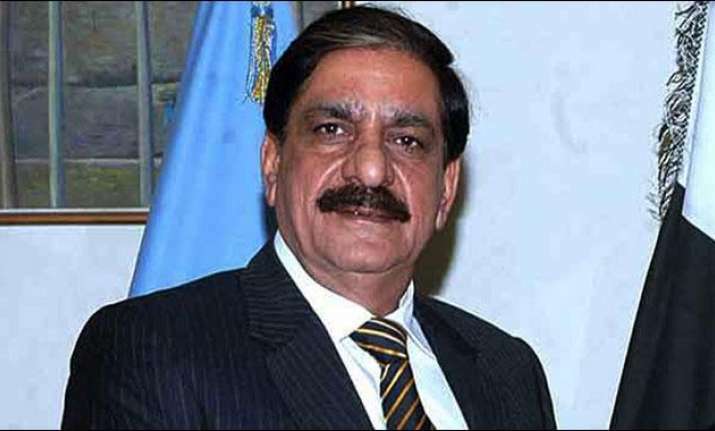 Lieutenant General (retd) Nasser Khan Janjua resigned from his position as National Security Adviser (NSA) on Wednesday. Janjua had been appointed NSA during ousted prime minister Nawaz Sharif`s tenure in October 2015. Caretaker prime minister Nasirul Mulk has accepted Janjua`s resignation, according to the National Security Division. Janjua served as the Quetta corps commander and National Defence University president before retiring from the army. On June 22, the caretaker premier had removed Pakistan Muslim League-Nawaz (PML-N) leader Marvi Memon as the chairperson of Benazir Income Support Programme (BISP). According to sources, the interim government took the decision over criticism from different political quarters for not replacing a PML-N nominee. The same day, the federal cabinet accepted the resignation of Bait-ul-Mal Managing Director Barrister Abid Waheed Sheikh, also a PML-N nominee. The cabinet, in the meeting chaired by PM Mulk, approved to give the additional charge of Pakistan Bait-ul-Mal to additional secretary Cabinet Division. 31. Centre Releases Rs 340 Crore For Flood Relief In Assam. 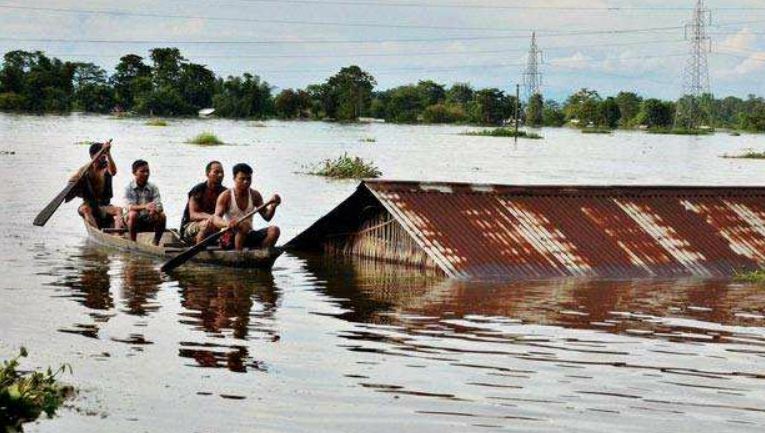 Union Minister for Development of North Eastern Region (DoNER) Jitendra Singh on Tuesday said the Centre has released Rs 340 crore to Assam for handling flood-related issues, including relief, rehabilitation and repair works of damaged infrastructure. "We held a meeting this morning with officials of the state government. We informed that we have released Rs 340 crore as disaster relief fund," Singh said at a press conference. Out of this, Rs 101 crore was released by the DoNER, while the remaining Rs 239 crore was given by the home ministry under the State Disaster Relief Fund (SDRF) account, he informed. "The SDRF fund would have come little late, but we sent this immediately so that the state has adequate resources in dealing with the situation," Singh said. "We got a premature rainfall this year. So, there is a likelihood that we may get a premature epidemic like situation after the water recedes. Accordingly, I have requested the chief secretary to tell the concerned departments to get prepared for this," Singh said. "The prime minister travelled at least 30 times to North East in the last four years. I do not think even a Union minister had ever done so earlier. He also ensured that a minister travels to North East every fortnight," he said. 32. US Ambassador To UN Nikki Haley Visits India. Nikki Haley is traveling to India for the first time as the US Ambassador to the UN on a two-day visit during which she will meet senior Indian officials, business leaders and students, underscoring America`s "strong alliance" with the country. Talks between Nikki Haley, the highest ranking Indian-American in the Donald Trump administration, and Indian officials could include a host of topics including India-US strategic ties and significant global developments. Ms Haley will be in New Delhi from 26th to 28th June during which she will meet with senior Indian government officials, NGO leaders, and the interfaith community "to underscore the United States` shared values and strong alliance with the people of India," a brief media advisory from the US Mission to the UN said here yesterday. While the media advisory did not give further details of the 46-year-old diplomat`s programme during her visit, she could call on Prime Minister Narendra Modi and is likely to meet senior officials from the Ministry of External Affairs. She will also deliver remarks to a group of business and government leaders, students, and civil society on advancing US-India relations. The visit to India by one of the Republican party`s rising stars comes just days before US Secretary of State Michael Pompeo and Secretary of Defense James Mattis will host External Affairs Minister Sushma Swaraj and Minister of Defense Nirmala Sitharaman in Washington for the inaugural US-India 2+2 Dialogue on July 6. 33. Government Approves Draft Act To Replace UGC With HECI. In a landmark decision, a Higher Education Commission of India (Repeal of University Grants Commission Act) Bill 2018 which seeks to repeal UGC Act and provides for setting up of Higher Education Commission of India has been prepared by the Ministry of HRD and placed in public domain for comments and suggestions. The focus of Higher Education Commission of India will be on improving academic standards and the quality of Higher Education. The Union Minister for Human Resource Development, Shri Prakash Javadekar has appealed to all educationists, stakeholders and general public to furnish comments and suggestions by 7th July 2018 till 5 p.m. on the draft Bill. The comments may be mailed to reformofugc@gmail.com. The Central Government, under the leadership of Prime Minister Shri Narendra Modi has embarked on a process of reform of the regulatory agencies for better administration of the higher education sector. In fulfilment of the above, several reform measures have already been launched viz, reform of NAAC, Regulation for grant of Graded Autonomy to Universities, granting of Autonomous status to colleges, the Regulation for Open Distance Learning, Regulation for Online degrees etc. The draft Act is in accordance with the commitment of Government for reforming the regulatory systems that provide for more autonomy and facilitate holistic growth of the education system which provides greater opportunities to the Indian students at more affordable cost. 34. Government Approves 2 More Strategic Oil Storages In Odisha And Karnataka. The Cabinet has approved setting up of 4 million tonne(MT) storage at Chandikhole in Odisha and 2.5 MT storage at Padur in Karnataka, Finance Minister Piyush Goyal told reporters in New delhi. The meeting was chaired by Prime Minister Narendra Modi. The storages will be additional to the existing rock caverns to shore 5.33 MT of crude Visakhapatnam (1.33 MT), Mangalore (1.5 MT) and Padur (2.5 MT). "The total 5.33 MT capacity under Phase-1 of the Strategic Petroleum Reserve (SPR) programme is estimated to supply approximately 10 days of India`s crude requirement according to the consumption data for 2016-17. "Cabinet`s approval for establishing additional 6.5 MT SPR facilities will provide an additional supply of about 12 days and is expected to augment India`s energy security," he said. According to an official statement, the government had announced setting up of two additional SPRs during 2017-18 Budget. Then finance minister Arun Jaitley had announced plans to build two more storages with a combined capacity of 10 MT at Chandikhole and at Bikaner in Rajasthan.